Let’s jump right into business, shall we? As I briefly mentioned in my last post, my NASM test was April 25th (has it really already been almost two weeks since?! 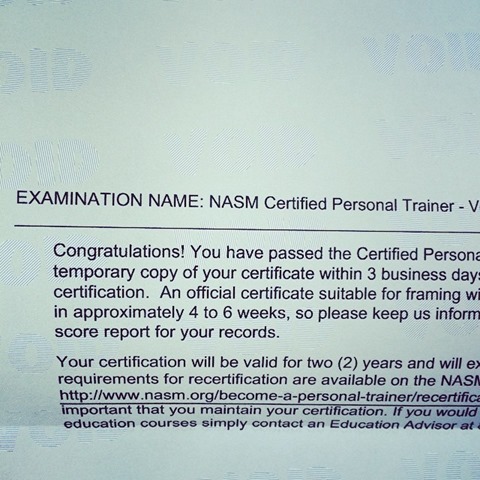 ), anyways I’m officially a NASM certified personal trainer. 🙂 I’m so incredibly excited and grateful for this opportunity to help others in pursuing their personal fitness and wellness goals. I absolutely am drawn to trying to motivate and help people become the best possible version of themselves and I believe that this certification will allow me to continually do that. It’s also a great way to start working 1:1 and with groups of people, develop more professional relationships, and expand my horizons. In respects to training and all things fitness, I have some ideas for this blog in the upcoming months as I also work my way through organic chemistry (because I will have so much free time, ok I’m kidding with that). I’m excited to see the changes unfold. Expect some vlogs, workouts, workout tunes, and a fair amount of jump rope stuff to be put on this blog. If you have any requests/suggestions of things you would like to see, please don’t hesitate to contact me (email at bottom of about me page)! These past two weeks have literally flown by, I feel like I just had my test yesterday. I’ve been so all out with finishing papers, volunteer stuff, and making sure I’m actually prepared for finals (which were yesterday, this morning at 8am, and Monday afternoon). I will be happy when Monday night rolls up and I have two full weeks to try and decompress and perhaps have a semi-active social life, then it’s twelve weeks of organic chemistry because that sounds like so much fun (insert copious amounts of sarcasm here). Lastly, I want to talk about something simple: life. More than ever before I’ve recently been faced with many open doors, some which I have graciously accepted and walked through, others which I’ve turned down with respect. It’s been a real challenge to turn things down and I’m starting to see how much I tend to completely over-commit myself, it’s my natural tendency. My ego gets in the way and I want to be a part of everything that I’m interested in, full-fledged, giving one-hundred and ten percent to each aspect of my life. Well, I have some news for you: you can’t give all you have to everything, because if you do, you will eventually break. What am I getting at here? I think it’s so easy to get stuck in less than optimal patterns in life. For instance my pattern is to keep over-committing myself until I get to a point where I’m either going to spontaneously combust or something has to give. As much as I’d like, I can’t be perfect. I’m working on learning to not spread myself so thin that I eventually crack. I experienced a downfall over the past few weeks as I was finishing my certification, focusing on my classes, having two volunteer positions, my job, and my own training time. I found myself waking up at 4am and not going to bed until around 10:30/11 because I just had my plate way to full. But I felt like if I wanted to be successful than this was the schedule I would just have to deal with, hint: that’s a straight up lie from my ego getting this best of me. I’m working on balancing my life out. There is a self-exploration exercise I learned in treatment years ago which I still use to this day: if you were able to wipe your plate completely clean, having zero commitments, and it was entirely up to you to decide what to put back… what would you put back? I did this yesterday and I found that there were definitely some things on my plate which didn’t need to be there. As I keep being told, this process isn’t a race, it’s a slow progressive journey. I’m not going to be a doctor tomorrow. I’m not going to have a successful personal training business tomorrow. I won’t be competing again tomorrow either. This is my journey, and I need to make it the best it can be, not flatten myself in the process of attempting to be the best and complete everything in the fastest way possible all simultaneously. What would I put back on my plate? 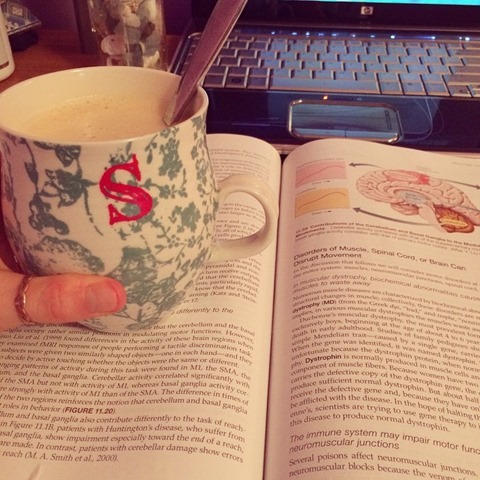 school, my two volunteer positions, my job (because well, $, being honest), this blog, working hard to compete again. While stuff has been taken off, this still is a hefty load to handle day in day out, but it’s important to me that I include all of these things, not because it makes me better that I’m able to manage it, but because they all make me happy. Let go of what doesn’t work, keep what does. It might be a challenge, and sacrifices will need to be made now and again, but ultimately if all the things you are doing make you smile – they are entirely worth it. In the past I would have just kept going, both with the things that I really enjoy and the things that were just taking up my free time, because I always told myself I should be fully capable. SHOULD. That would is one that put me in some tough positions in my life, I should do this, I should do that – how about what I actually want and enjoy vs. what I think others want/what I think is acceptable yet entirely irrational. 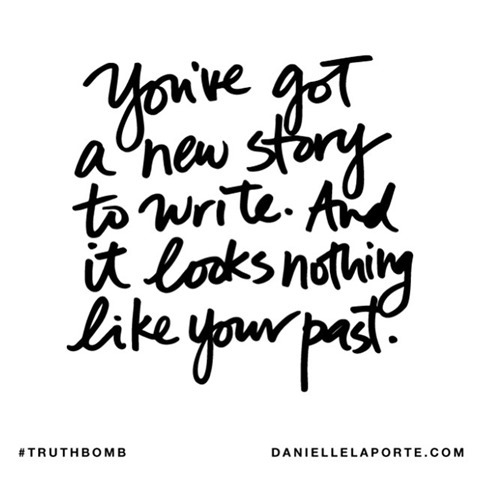 That is a mind-blowing concept for me, and one that I’m beginning to fully embrace.